Units will have a back plate hosting all the controls or a time display. 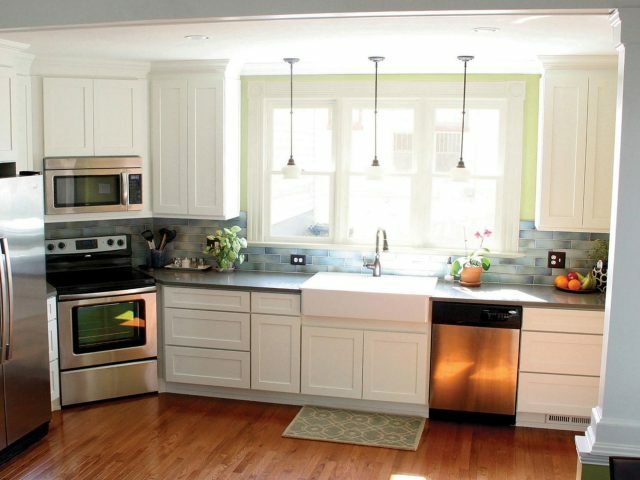 Include a larger oven, usually with a drawer underneath. Dimensions: 30″ to 36″ wide and 27 1/2″ to 24″ deep. 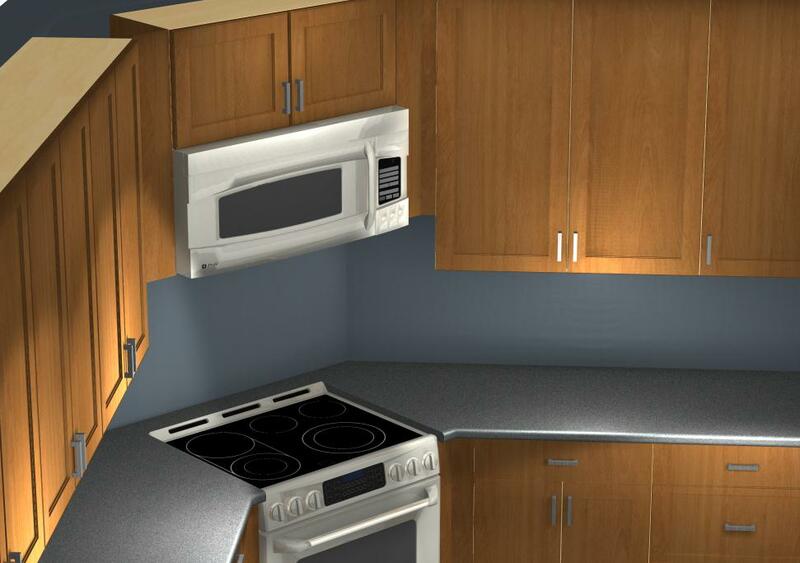 Easy to place anywhere in the kitchen, they don’t require a special cabinet treatment. 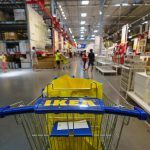 A LAGAN range is the most affordable option from IKEA. Don’t have a backplate, the controls are located at the front. 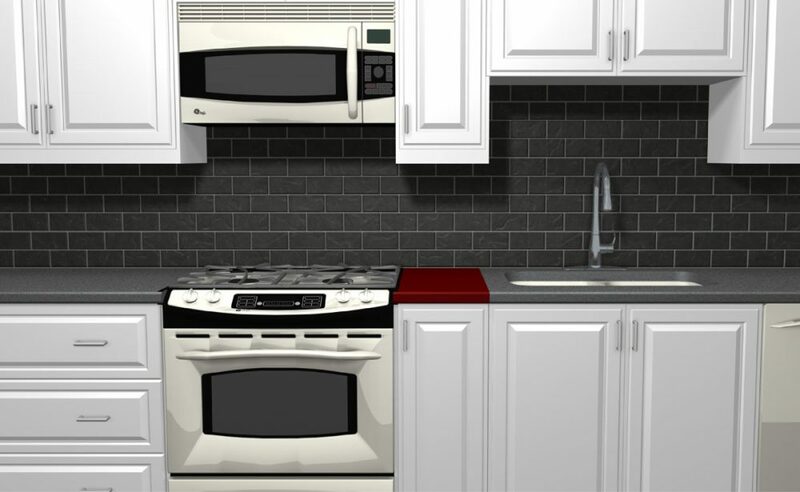 Include a standard-sized oven with a drawer underneath. Dimensions: 30″ wide and 28 3/4″ deep. You need to leave enough space for standing because they’ll be considerably deeper than your cabinets. 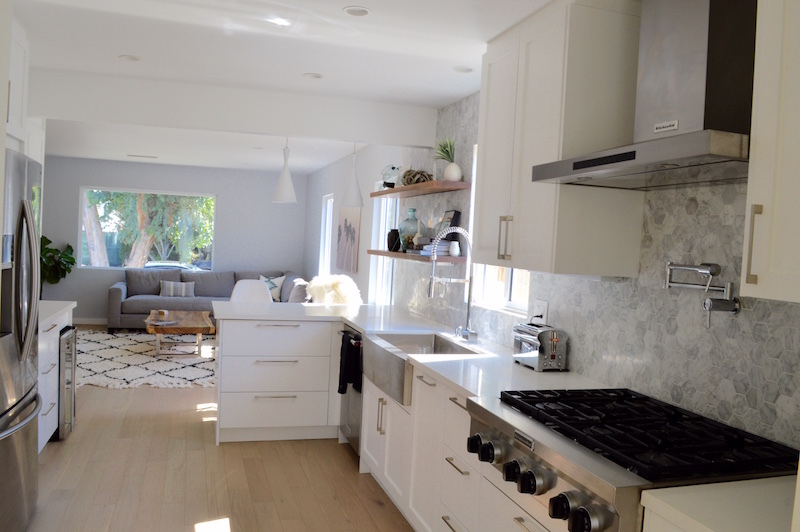 They create an integrated look within the kitchen as their edges rest on the counter. This needs to be considered for the amount of material for the countertop. FRAMTID ceramic is the range that provides the most ‘integrated look’ to your IKEA kitchen. 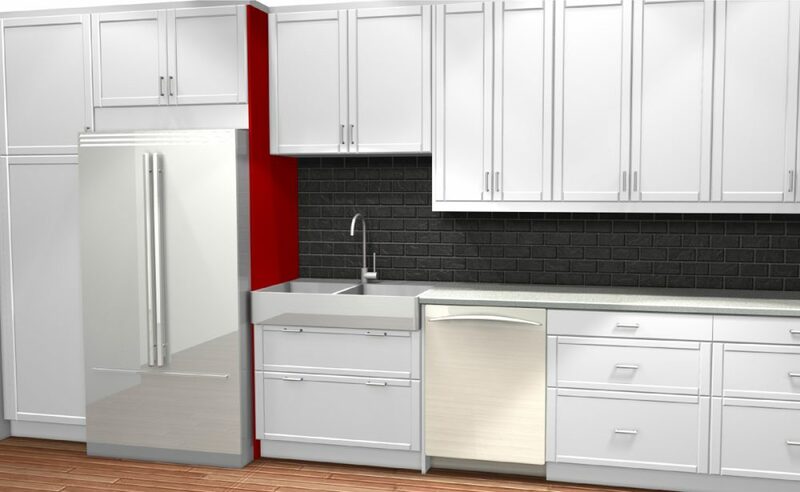 Inexperienced IKEA designers have a tendency to set all cabinets and appliances against the wall, however ranges placed at an angled corner wall are an important exception. 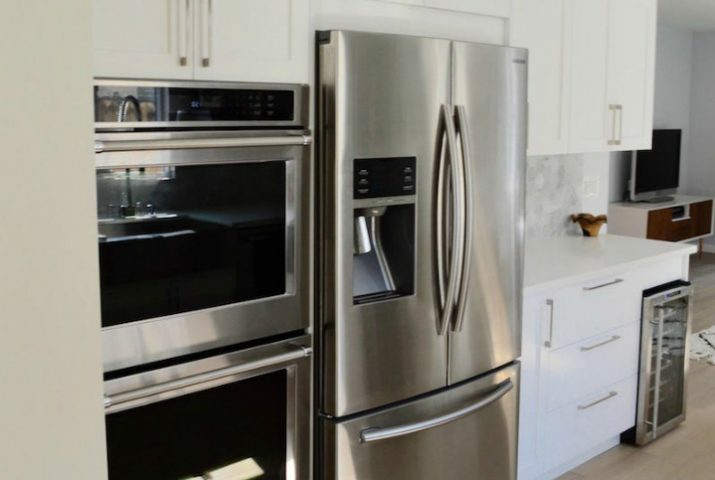 The main reason for this is that the range will not be aligned below the hood or range microwave; this means that that smoke and cooking odors won’t be exhausted properly. 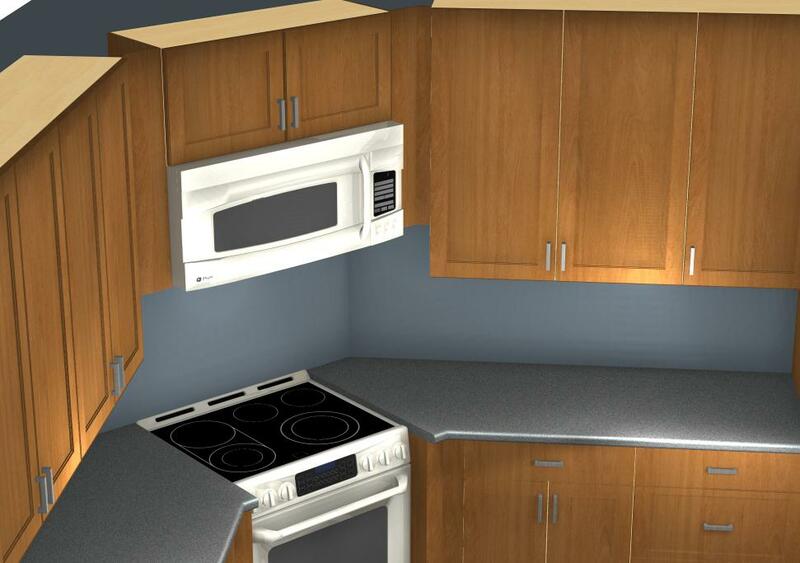 To avoid this mistake it’s necessary to align the range with the front of the base cabinets. Continue the countertop along the space behind the stove. 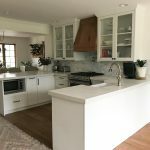 Keep in mind that panels will be required on both sides of the range to provide the necessary support for this countertop and to close in the area.